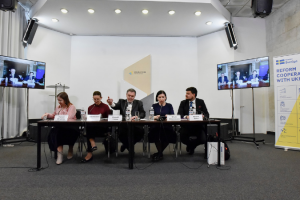 On March 21, Ilko Kucheriv Democratic Initiatives Foundation, Kyiv International Institute of Sociology and Razumkov Centre called a press conference to announce start of the “National Exit Poll 2019” project. 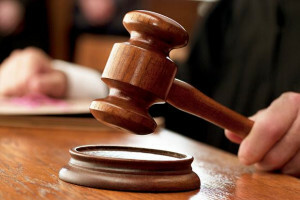 The Consortium, established by the above-mentioned organizations, will conduct the polling of voters at exits from the polling stations on March 31 - day of the election of the President of Ukraine. The key objective of the project is to ensure effective public control over integrity of elections. Supervisory Board, consisting of leaders of non-governmental organizations, prominent Ukrainian journalists and experts, will oversee performance of the project. 14:00 – press conference to report about process of exit poll, problems and difficulties faced by interviewers during polling. 19:45 – press conference to report early results of the exit poll (data as of 18:00). 23:00 – press conference to report the exit poll updated results (data as of 20:00). 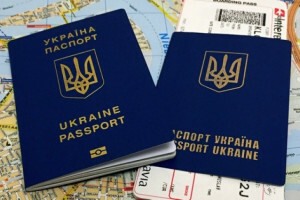 The following international donor support the National exit poll during 2019 presidential elections: Enhance Non-Governmental Actors and Grassroots Engagement “ENGAGE” activity, funded by US Agency for International Development (USAID) and implemented by Pact in Ukraine, Delegation of the European Union to Ukraine, International Renaissance Foundation, Embassy of Canada in Ukraine. Two prominent sociological companies – Kyiv International Institute of Sociology and Razumkov Centre – will perform field work of exit poll project. Total population of the exit poll – voters, who vote at the polling stations on the territory of Ukraine (excluding special polling stations in hospitals, prisons, military bases, embassies, and excluding occupied territories). 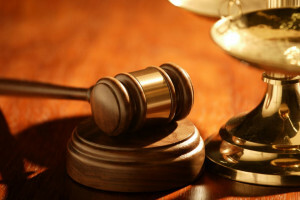 The sample is developed to be representative for Ukraine in general and for its 4 regions – West, Centre, East and South. The sample is two-staged. At the first stage, polling stations are selected in each oblast proportionally to the percentage of voters in the given oblast. The polling stations are randomly selected. During the second stage, selection of voters at the polling stations is made based on the certain selection step. Central offices of sociological companies receive results from the fields several times a day. 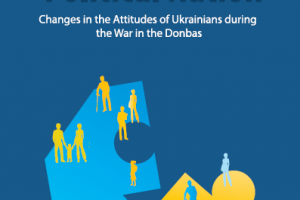 East – Kharkiv, Donetsk and Lugansk oblasts (government-controlled territories). Number of polling stations – 400 (200 per each sociological company). Sample size – approximately 17, 000 respondents (depending on voter turnout). Number of interviewers – two or three interviewers will work at each polling station. 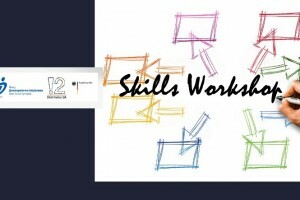 Overall there will be almost 1,000 specially trained interviewers. The statistical sampling error including design effect will not exceed 1,3%, but there are also errors which depend on various factors. Based on our experience of the past exit polls, conducted with the same methodology, we assume that sample error will not exceed 2,5% for the leaders and will stay within the limits of 0,5-1% for other candidates. Data collection during the exit poll is based on methodology of the “secret ballot”, because it reduces the number of refusals and significantly increases the reliability of the exit poll data. Respondents will not be asked the direct question: “Whom did you vote for?”, but will be offered to write their answers personally in paper questionnaire and to throw it into the sealed exit poll box. The questionnaire also includes several additional questions on gender, age, education, and time of making voting decision, but interviewers will notify respondents that answers to these questions are not obligatory. 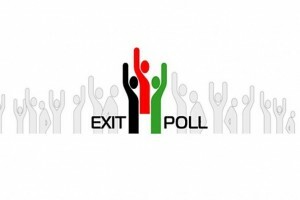 Exit poll is sociological survey of the voters at exits from the polling stations. The exit poll was designed in the United States of America and used around the world to predict the election results on election day. In Ukraine the first exit poll was launched by Ilko Kucheriv Democratic Initiatives Foundation and presented in TV show “Night of Elections” during parliamentary elections in 1998. Since that time exit polls have become important tradition and element of democratic electoral process. Since 2004, the Consortium has been conducting exit polls in the form of a “secret ballot", since it reduces the number of refusals and significantly increases the reliability of the exit poll data. Since 2010, the National Exit Poll in Ukraine is under the control of the Supervisory Board, which includes respected public figures, experts and journalists. Members of the National Exit poll project acquired necessary experience in conducting exit polls. DIF organized exit polls during parliamentary elections in 1998, 2002, 2006, 2007, 2012, 2014, two rounds of presidential elections in 1999, three rounds of presidential elections in 2004, two rounds in 2010 and one round in 2014. Kyiv International Institute of Sociology joined exit poll project in 1999, Razumkov Center became its partner in 2004. This year Ilko Kucheriv Democratic Initiatives Foundation will conduct its 15th exit poll.